The agile methodology has been BBVA’s travel companion throughout the progress it has made in its digital journey in 2018. The Group extensively adopted this new way of working this year, having begun its integration of this process several years back, making it possible to consistently deliver results and global solutions for customers around the world in less time. In fact, 2018 marked a turning point for BBVA’s global nature thanks to the launch of its global mobile banking platform. This platform ensures BBVA can create global banking functions more quickly, easily and efficiently thanks to the re-use of components. This year, the platform was launched in Mexico and Uruguay, and will be available in other countries like Peru shortly. This strategy allows BBVA to transfer the best designs, features and crucially experiences to everywhere the bank has a presence. BBVA’s commitment to offering customers the best solutions to manage their data and finances has once again put the Group at the pinnacle of global mobile banking in 2018. The consulting firm Forrester Research awarded BBVA the top spot after an assessment of nine global mobile banking leaders. This recognition arrived several months after the bank was also recognized for having the best mobile banking app in Europe. Notably, BBVA´s Turkish bank, Garanti, was also one of the ten global mobile banking leaders, taking second spot in the analysis. BBVA’s account and card aggregator for individuals and companies was influential in this award. A new service that also includes this information is Bconomy, the tool that analyzes users’ income and expenses to assess their financial health. In winning the race todefend its number one title for the second year in a row, the BBVA mobile banking app was also brimming with new functions – things as simple as getting a certificate online and setting up autopay for bills with just a photo. Then there are the more disruptive solutions like BBVA Valora, BBVA Valora View; BBVA Baby Planner, BBVA Invest. And reinforced security measures, such as sending alerts in real time or allowing customers in Spain to pay with Apple Pay. BBVA also put its focus – or should we say, gaze on improving the customer registration process. Thanks to improvements using biometrics, now both companies and individuals can register as a BBVA customer at any time and anywhere just by sending a photograph and video. A notable improvement in the registration process that is the outcome of BBVA’s collaborative efforts with Veridas. Invisible payments at BBVA Headquarters are another new feature released in 2018. 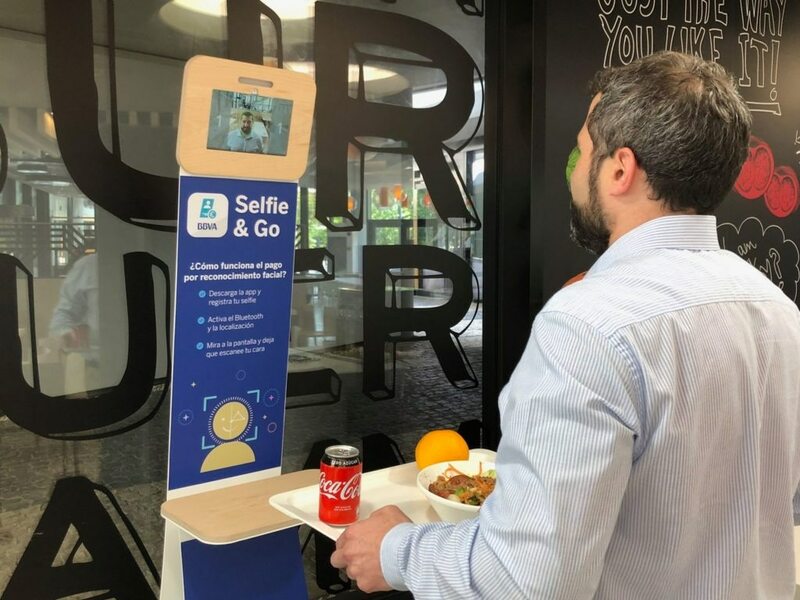 At the bank’s main offices in Madrid, employees can now make payments using facial recognition technology based on biometrics and artificial intelligence, with no need to use a card or smartphone to pay. In order to use the new system, users just need to register in the app with a selfie, active their smartphone’s Bluetooth and localization, and look at the camera so that it can identify their face. Similarly, this summer BBVA made biometric iris recognition available to its customers to access mobile banking. In fact, the BBVA app has the latest biometric identification techniques – fingerprint, iris and facial recognition. It was also a year in which voice became important – among other features to find the closest ATM by talking to your cell phone. Launched in 2017, BBVA’s chatbot now allows users to send money and check their account balances. Financial inclusion is another element that is now part of the extensive digital products and services available to BBVA customers. The new BBVA app for everyone is a solution based on a technology that will allow the blind, those with physical disabilities or slight intellectual disabilities use all of the bank’s ATMs. The year 2018 was also an important year for harnessing the potential of data and technologies like artificial intelligence to get a better understanding of what customers need and offer enhanced personalized services. But even more importantly, 2018 served to reinforce the bank’s commitment to the protection and responsible use of data. Data must serve to generate new opportunities and provide better service – always with the customer’s consent and putting their needs at the heart of BBVA’s business. Data protection is essential for this – from customers’ perspective and especially in a digital company like BBVA. Since May 25, 2018, the bank has applied the new European General Data Protection Regulation (GDPR). How BBVA aplies the GDPR? The cornerstone of this new regulation is that customer consent must be freely given, informed, explicit and provided by a clear affirmative action. Furthermore, it must be as easy to withdraw consent as it is to give it. Already in October 2017, before GDPR entered into force, BBVA created a data protection officer position and was also the first bank, and the one of the first Spanish companies, to inform its customers of this new role. In 2018, BBVA has continued pilot testing this technology to explore the vast array of solutions available on the market. And this year, the bank focused on blockchain, in collaboration with large corporate clients, with which it has conducted pioneering pilots. In this regard, in April, BBVA and Indra successfully completed the world’s first negotiation and signature of a corporate loan using blockchain. Shortly afterwards, BBVA signed an agreement with Repsol for the joint development of blockchain based financial solutions and completed the first revolving credit facility using distributed ledger technology. And more recently, in November, the bank spearheaded the world’s first syndicated loan using this same technology in an operation with Red Eléctrica Corporación. BBVA also continued reinforcing its participation in the blockchain ecosystem by joining the most important international consortiums, such as R3, Ethereum Enterprise Alliance and Alastria in Spain. It is also the bank’s second year as a member of the Governing Board of Hyperledger – one of the largest international consortiums. 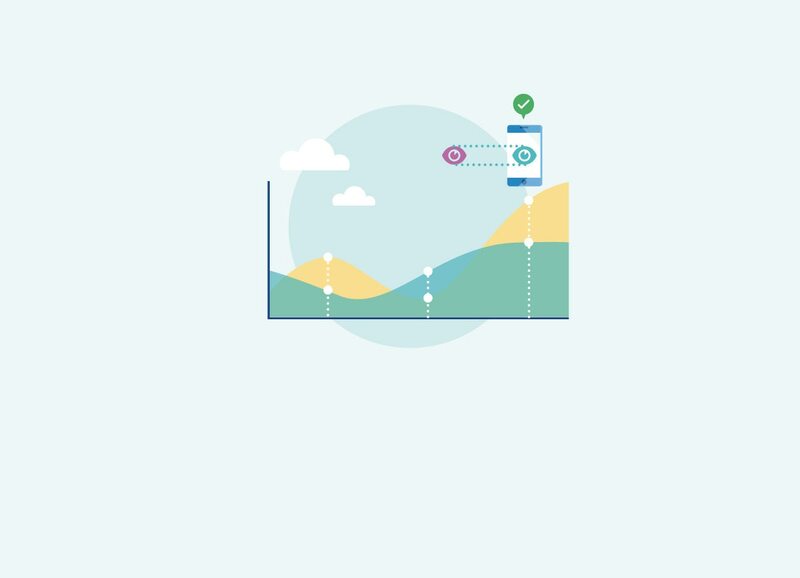 BBVA also continued taking steps to establish itself at the forefront of open banking, with the launch of the first “banking as a service” platform in the U.S. – the BBVA API Market after its pioneering launch of BBVA API_Market in Spain. These services are the result of BBVA’s commitment to a new, more open and collaborative way of approaching the digital banking transformation process – through collaboration with other banks in the sector, other industry verticals, major clients and startups. It’s about ensuring those who wish to bring new services and products to customers are supported in this regard – bringing the age of opportunity to everyone. 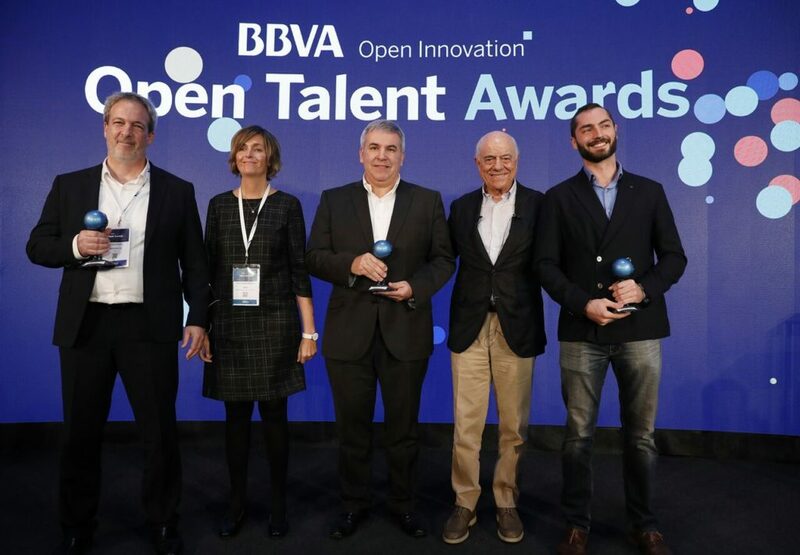 In fact, one of the constant pillars in the bank’s open innovation strategy is Open Talent – the largest fitech competition in the world, which celebrated its 10th anniversary this year. Once again, the initiative brought together hundreds of startups searching for the best financial technology solutions to transform the industry. This year the awards were presented at BBVA Open Summit to Sedicii, Dunforce and ChargeAfter. This year the awards were presented at BBVA Open Summit to Sedicii, Dunforce and ChargeAfter. Collaboration with the winners and finalists through proofs of concept and pilots is highly important to BBVA. In fact, 2018 was a decisive year for streamlining processes developed in conjunction with these and other startups to implement new products and digital services to benefit customers. That’s why this year, the bank wanted to go one step further, creating BBVA Open Marketplace – a digital platform where startups from around the world can enter into direct contact with the bank’s business units and embark on collaborative projects that generate opportunities for both parties. As a result of its work with the ecosystem of entrepreneurs, in 2018, BBVA was recognized by the European Commission for the second year in a row as one of 36 leading large corporations to launch joint projects with startups. But BBVA also importantly works hard to disrupt the sector itself, much of which happens through the launch of its own startups. BBVA’s New Digital Business area has launched three new companies during 2018: Azlo, which offers digital banking services to entrepreneurs and small businesses in the U.S.; Denizen, a firm that offers a bank account to expatriates, or people who live or work in more than one country; and Upturn, a company to help users correct mistakes in their credit reports, which started operations in the U.S. In terms of investments, BBVA increased its stake in Atom Bank, the U.K.’s mobile bank, with a €97 million investment. The Group also invested in solarisBank, a German fintech that offers banking services to third parties through APIs. In addition, Propel – BBVA’s independent venture capital firm – invested in multiple fintech companies this year: the Brazilian neobank, Neon; the online mortgage platform, Trussle; Steady, the banking app for flexible workers; and Charlie, the intelligent chatbot for millennials. A new partnership was also put in place with a leader in the investment and creation of new fintech companies, Anthemis. In order to continue supporting new tech companies, the aim of the alliance is to set up startup studio in London.